1. A filing fee is for the privilege of filing documents. 2. A search fee allows a patent-examiner to perform a beginning search on your invention. 3. An examination fee allows the examiner to examine the results of the search and compare the findings against your invention to see if what you have submitted is new and non-obvious. What do you get for these fees? 1. You get to file three independent claims, i.e., three ways of describing a version of your invention in the simplest manner, with as few elements as possible. If your invention has three different versions, you would file an independent claim for each one. Or, if the way your invention is used (or manufactured) is novel, you could file one independent claim about the invention itself and another about its use or how it is manufactured. 2. You get to file 17 dependent claims, i.e., other features you want to add to modify or limit the independent claims, in a less simplified manner. When the examiner looks at your claims and application, he or she decides whether or not a single search will encompass all of your claims. This is entirely at the examiner’s discretion and may result in something called a restriction. 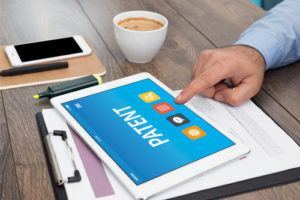 If he or she determines that you have more than one invention in your claims, you have to divide the application and choose which one you want him or her to examine first. In your mind, all three claims might be the same invention, but you choose one claim set while the other two sit in a bullpen of sorts. Then, when you’re ready, you refile the same description, only featuring the next set of claims. This can be advantageous, as it broadens your portfolio quite rapidly. In a recent article, I told the story of a client who invented a special pocket for cell phones. His invention was broken down into three independent claims: one for a pair of pants (or skirt) that included the pocket, one for making the pair of pants with the new pocket and one for retrofitting the pocket into regular pants. He filed his original application and then after restriction, filed two more, one for each claim set. He ended up with a portfolio of three patents from his original application. Join me next time as we examine other types of “daughter” applications.